New York City has some of the best international and local cuisine that is suitable for large, student groups to add to the itinerary. New York is the city that never sleeps and that goes the same for restaurants. NYC has a variety of different cuisines from all over the world that reflects the colorful and diverse atmosphere that the city promotes. Young travelers easily mirror the high energy and don’t want the fun to stop when they’re on lunch breaks. Balancing food and experience to embark on an overall great trip. The most important things to look for in a restaurant for student groups are capacity, location and price (and keeping the good food quality). 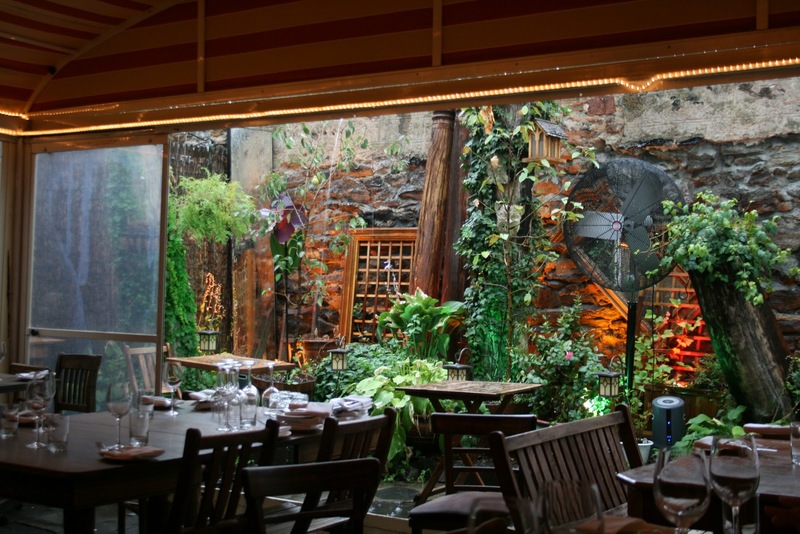 Here are five easy stop restaurants along the way of NYC’s best tourist attractions. Italian food is on every corner in New York, but finding quality, southern Italian cuisine can be found a quick two blocks from Times Square at Carmine’s. Carmine’s is a famous restaurant being on several news excerpts and spotting dine-in celebrities having a family feast. 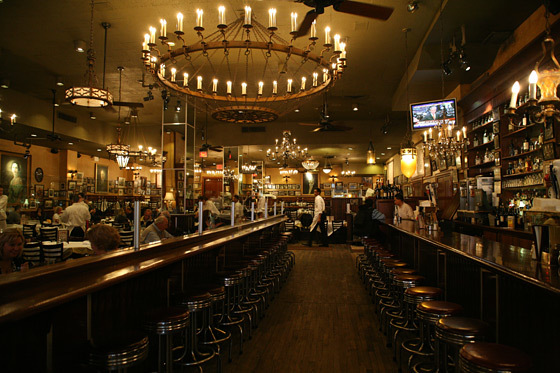 Located on 42nd street near a subway station and available parking in Time Square area makes it a perfect stop. Ready for student groups large or small, having private dinning up to 200 seats and the entire restaurant up to 700 seats. Serving family style makes an inclusive environment for all students, being able to pass the plate around and talk to each other about their day. Main courses including chicken, veal, seafood and beef and a large list of pasta as well. The available vegetarian options and separate allergy menu makes it suitable for any group. 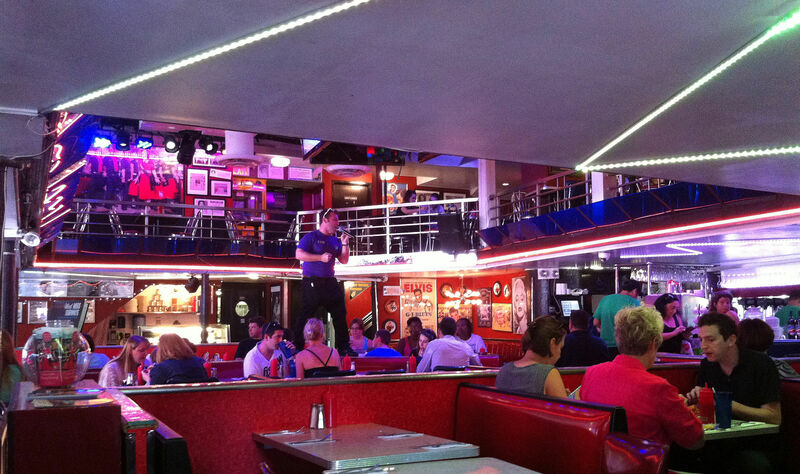 Dinner and a show is taken at the most literal sense at Ellen’s Stardust Diner. This 1950’s American style diner is located on 51st street on Broadway. Before going to the theatre, get a pre-performance from the singing and dancing Waiting Staff makes thrilling entertainment for any student group. Large tourist groups are encouraged, seating 450 comfortably. There are 3 options for dinner packages with various prices. Each dinner package includes appetizers, entrees, dessert and various beverages with classic diner food of hamburgers, chicken fingers, fries and ice cream sundaes. Want to experience a famous New York bagel but think a student group would disturb a small bistro? Go to the Bagel Café for an open seating area for a quick lunch or a grab and go to make your way to a 12-minute walk to the Empire State Building on 3rd Avenue. Get an original New York bagel with a funky variety of cream cheeses (including gluten free bagel options). Bagel Café also has specialty sandwiches, paninis, smoked fish platters, salads, and fresh fruit. There is available takeout or cater ordering ahead of time for the business to know a group will be stopping in ahead of time. NYC is home to many international cuisines. Try French elegance at the Tree Bistro in East Village. An earthy atmosphere with exposed brick and an outdoor canopy garden makes a classy, intimate ambiance that is not easy to find in a busy city, which is what makes it a popular venue for private parties. A tranquil evening after a long day of site seeing and a place for sophisticated eats: appetizer escargot, sautéed crab cakes, and a duck entrée. Tree Bistro has not too adventurous eater meal options such as a tree burger, seafood linguine, roast chicken and a variety of flatbreads at a moderate price range. Rockefeller Center is known as “the City within a City” because of its display of culture, history, entertainment and art that keep traditions for New York since the 1930’s. 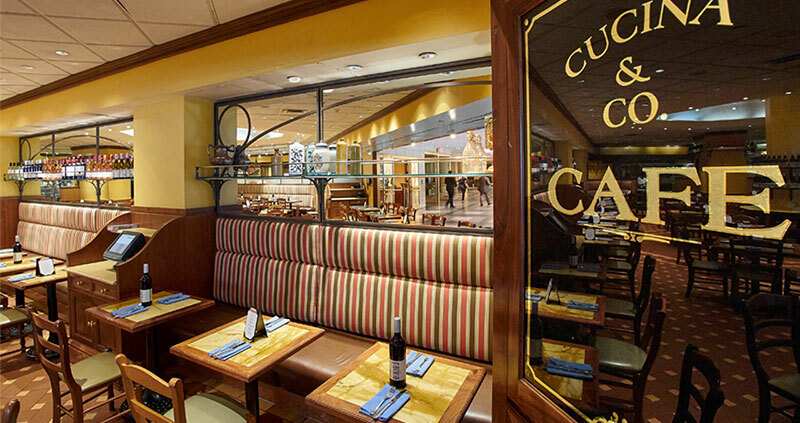 In Midtown Manhattan, eat at Cucina & Co. for home-style Mediterranean meals and a fresh Mediterranean marketplace. Nothing feels more accommodating for a group than a buffet, which is available for groups above 30 people. Separate buffet menus are either Italian or American cuisine, including specialty entrees and pastas, but the Italian buffet leans towards chicken based entrees, whereas the American has the inclusion of roasted turkey breast and boneless pork loin. Cucina can seat up to 185 guests in total.